Heloise Hampden is highly educated and works as a codebreaker for the Crown, translating French missives that had been encoded. There are spies between England and France, and unbeknownst to her, her childhood crush Viscount Ravenwood is also working for her employer. The French aren't as in the dark as they had hoped, and sent an assassin to kill England's codebreakers. 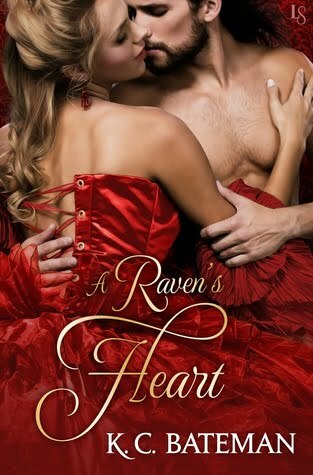 After one is killed and Heloise is obviously next, Raven takes her with him to Spain in an attempt to keep her safe and save another spy that could be held hostage by the French. Of course this isn't the most brilliant of plans, when they're both attracted to each other and have been fighting it for years. At first, I didn't even realize that this book was part of a series. While there are some references to other characters that were likely in the other books, I wasn't missing anything in the current story. Mentions flowed naturally as part of the conversations and bits of back story woven into the plot. I have a weak spot for Regency romances, and this is a great example of the kind I like. Heloise has a strong will and thoroughly enjoys linguistics and codes, yet still works within the confines of England's rigid class system. Because of a facial scar she has after saving a friend's life, she believes she won't marry, yet is content with that. Raven is emotionally aloof at first, broken by a kidnapping and imprisonment that he endured six years before the novel opens, yet over time learns that emotions and trust are not necessarily weapons to wound him with. As the two fall in love and deal with danger, a lot of emotional rifts heal. This is definitely a fun and uplifting read, just the thing to curl up with on a chilly day.